Prior to founding Moglia Advisors, Alex held executive positions with Continental Illinois National Bank and CNW Corporation, the latter a publicly-traded company with finance, transportation and manufacturing operations. 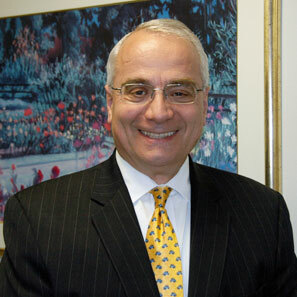 Initially, he was an international attorney with Winston & Strawn, before leaving the practice of law in 1983. Alex is Chair of the International Committee, and member of the Board of Directors, of the National Association of Federal Equity Receivers. He is a member of INSOL International. He was a member of the Board of Directors of the American Bankruptcy Institute, and founded and chaired its Finance & Banking Committee. He also served on the Board of Directors of AeroCare, an international air transport company for patients and transplant organs, that successfully reorganized under Chapter 11 of the US Bankruptcy Code. He has a Juris Doctor degree from the University of Chicago Law School and attended the University of Chicago Graduate School of Business. He has a Bachelor of Science of Foreign Service from Georgetown University, Washington, D.C. Alex was born in Argentina, lived in Brazil, and has worked on projects involving the Americas, Europe and Asia. He is fluent in Spanish, Portuguese, and French, and has working knowledge of Italian. Alex is an avid soccer fan.